I bought Redmi note4 phone . At time of buying they offer insurance against accident damage & liquid damage at ₹ 748. On 04/08/17 my phone fell from the table and screen got damaged. I claimed for the insurance . 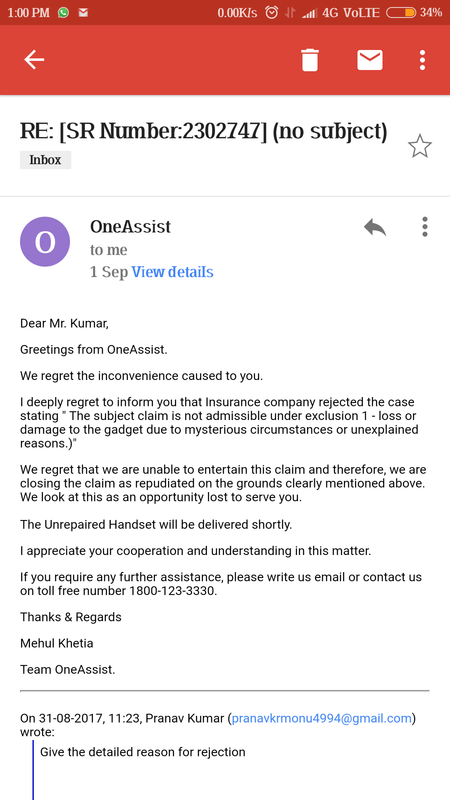 They accepted it and after almost 1 month they said your claim has been rejected due to unexplained mysterious reason. In between the month they asked through mail from where it fell . I told them from the table . But they rejected the claim.